Drills are awesome things to keep for every home. Whether you use cordless drills or corded ones, they make repairs and simple fixes much easier. 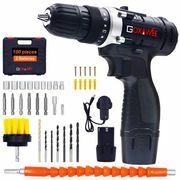 You can find the best deals on cheap drills from your favourite online retailers such as Screwfix, Wickes, B&Q, Wilko, Homebase, Robert Dyas and Clas Ohlson. 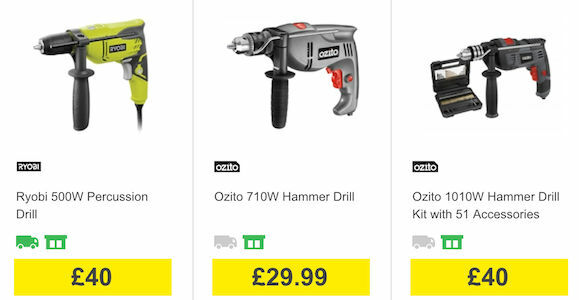 You can choose from a variety of options for hammer drills, combi drills, pistol-grip drills from popular brands such as Bosch, Dewalt, Makita, Spares2go and Black + Decker. With voucher codes and special offers, your next online purchase need not be as expensive. Electric drills are power tools that make fixing things faster and easier. Most skilled workers have a drill in their toolbox. It is used for big construction projects or even do-it-yourself projects. Each electric drill model is different when it comes to reliability and function. Although the purpose of using an electric drill is the same, the capabilities of each model vary. If you are searching for the best electric drill that you will use, there are lots of things that you should consider. There are cordless and corded electric drills. Cordless drills are very portable and lightweight. They can be used in tight spaces and gets the job done even in hard-to-reach places. Corded electric drills, on the other hand, are more powerful since their power supply comes directly from the outlets. These models often have more powerful motors. When thinking of buying an electric drill, select the product that has top-notch drill bits. These are very important since the end-result of your project will depend on how efficient your drill is. Bosch DDS182-02 - It is lightweight and is mounted above the battery which makes it easy to handle and use. This cordless drill only weighs 4 pounds and you can bring and use it anywhere. It has an 18-v brushless motor that provides the necessary power to get the job done. DeWalt DCD990M2 - It has a very responsive trigger which makes it very comfortable to use and you will be impressed by its power. It also has three-speed limits and uses a 4-Ah Li-ion battery that can stand long periods of use. 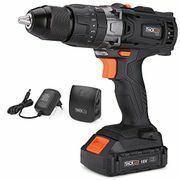 With its 20-v brushless motor, you will never go wrong in buying this cordless drill. 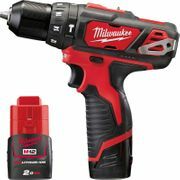 Milwaukee 2703-22 - Weighing only 5 pounds, this portable electric drill is one of the most powerful among all the models. It has a speed that can reach up to 2,000 rpm which is very impressive, by the way. It has a stout drivetrain which is essential in drilling big holes with ease. Makita XPH07M - When it comes to electric hammer drills, this model is the most efficient and you cannot deny the quality of its performance. It can drill anything from steel, wood, and concrete. It uses a 5-Ah Li-ion battery and the whole unit weighs 5.4 lbs. 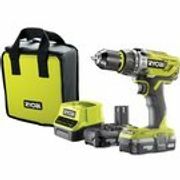 When buying power tools, an electric drill is essential in your arsenal of power tools to make your projects easier and faster. Here are some features that you need to consider when buying the best electric drill. Motor power – This is basically the most important thing to consider. The electric drill should have a powerful motor to allow it to have a high rpm which is needed to have a smooth drilling operation. An LED work light – Choose an electric drill that has an LED work light to make your work easier. This feature is very helpful for low-light situations. It can also make drilling more precise since you have a clear view of what you are working on. Dual-gear mode - The drill should have high and low gears to control its power. It is very important in drilling screws most especially in delicate surfaces such as wood, fibreglass and plastic. Additional batteries – Having an extra battery that is charged and ready to use is very convenient. This might come in handy when working for long hours. Hammer drilling feature – Cordless drills that have a hammer drilling feature is very helpful most especially when you are drilling on hard surfaces such as metal and concrete. You drill will double up as a hammer which will make your work easier.